The SpeechPathology.com course library is developed and overseen by an experienced team of certified SLPs, who are recognized industry experts. SpeechPathology.com instructors and guest editors are skilled clinicians and industry leaders whose courses consistently receive top ratings from our members. Nancy B. Swigert is the former director of Speech-Language Pathology and Respiratory Care at Baptist Health Lexington, an acute care facility. As president of Swigert & Assoc., Inc., her consulting company, she continues to teach and write in the areas of dysphagia, coding, reimbursement and documentation. She received her master’s degree from the University of Tennessee-Knoxville. 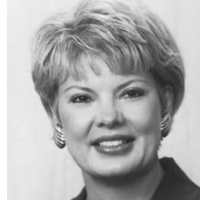 She is a former President of the Kentucky Speech-Language-Hearing Association, the Council of State Association Presidents, and was President of the American Speech-Language-Hearing Association in 1998. She received the Honors of ASHA in 2015. She chaired the Health Care Economics Committee for six years, ASHA’s Special Interest Group on Swallowing for three, and the American Board of Swallowing and Swallowing Disorders for three. She has authored numerous books including, The Source for Dysphagia (4th edition). Jennifer Dahms completed her Bachelor of Science and Master of Science degrees in Communication Sciences and Disorders at the University of Wisconsin – Milwaukee. She has worked in two different counties in Wisconsin, providing Birth-to-Three and outpatient therapy services. She moved to Boise, Idaho in 2006 and initially worked for St. Luke’s Idaho Elks Rehabilitation Services for two years. Jennifer then opened her own private practice, Valley Pediatric Feeding LLC, in October 2008. Over the course of her career, she has focused the majority of her continuing education on pediatric feeding disorders. Jennifer earned ASHA’s ACE Award in 2010, 2011, 2013, 2015, and 2017. She initially became Board Certified in Swallowing and Swallowing Disorders in 2011. She is a member of the Dysphagia Research Society and is a SIG 13 member. Jennifer has presented on pediatric feeding disorders at state and regional conferences as well as with several online webinars. SpeechPathology.com content is vetted by a distinguished Advisory Board that provides topic-specific content and curriculum development.